City Hospital witnesses a chain of blood curdling spine chilling murders. 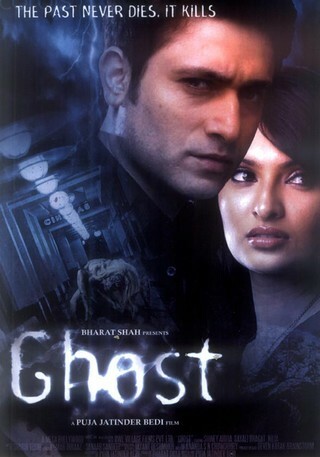 A beautiful young recruit Dr. Suhani (Sayali Bhagat) is faced with uncanny happenings at the hospital. She is stunned by the monstrous force that sweeps out of the night to cause a trail of gruesome killings. What or who is responsible for this strange murderous destruction? The murderer uses a unique methodology, leaving behind no trails, defying all human comprehension. A leading investigating agency entrusted with the case, assign it to their most competent officer Vijay Singh (Shiney Ahuja). Vijay a debonair romantic young detective moves intelligently to gather information about the mysterious murders. Among the first he questions is Dr.Suhani. There is immediate chemistry between the two. The culprit moves again and we witness more horrifying brutal killings. Success eludes Vijay but he gets passionately involved in the case treating it as his personal war against the slaughterer. What follows is an exciting path of love, intrigue, passion, deceit, revenge and nerve wrecking treachery. Finally, God proposes and evil disposes. An ode to horror lovers here is a truly original story that is brutal and bloody. It has portrayed the most frightening encounters between good and evil, that audiences will experience for the first time in Indian Cinema, the most ominous and brutal butchering. There are full scenes that one would experience and see clearly in One's dreams and perfect examples are the murder sequences in the film which are a real terror. Gore and blood are the highlights of the film. The story is simple but engaging.